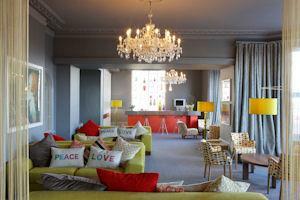 A 50 bedroom designer budget hotel on Eastbourne's seafront, offering fantastic value for money, great sea views and exciting new horizons in interior design. 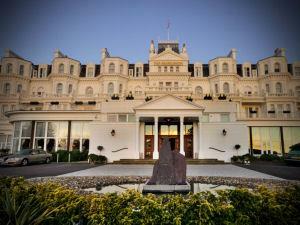 The Devonshire Park Hotel is an elegant Victorian property, with its own Free Private Car Park, located in one of Eastbourne's finest positions - Opposite the Theatres, just a short walk to the Town Centre and only 150m from the Promenade. 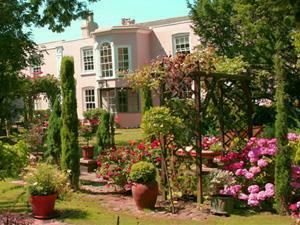 Classical late Victorian establishment, privately owned, excellent value, personal attention to all who visit. Ideally located for all amenities. 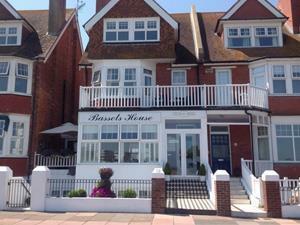 Privately-owned seafront guest house. Open all year. Out-of-season bargain breaks. Free unrestricted public parking, including disabled bays opposite. Safe lock-up for bicycles. 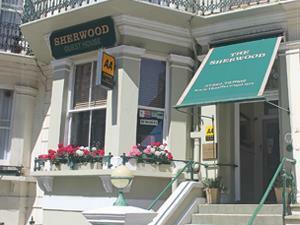 Enjoy one of the best views, breakfasts & ratings in Eastbourne. 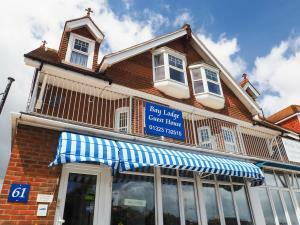 We are a child friendly, family run guest house right on the seafront & ideally located close to the Pier & easy walking distance of the theatres, tennis & conference centre. 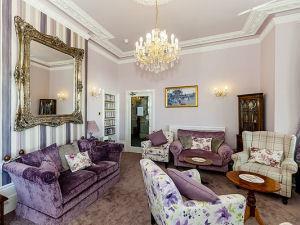 Set in an Edwardian building, the Mowbray is an outstanding AA 4 Star Accommodation.The keynote of a stay is the high standard of service from Darren and Laura who aim to go the extra mile to ensure guests are well looked after. 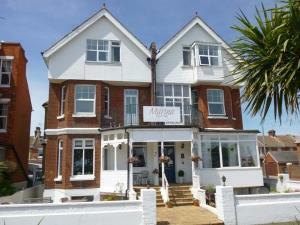 Family run providing a relaxed atmophere on a prime seafront location with some private parking. All rooms have en-suite. 5 star Gold luxury B & B Ocklynge Manor sits within a 3/4 acre ancient walled garden and was once the home of Peter Pan artist Mabel Lucie Attwell. Free private parking in gated courtyard. Quiet location. Free wifi. Our charming hotel offers the perfect stop for groups, couples and families in search of a relaxing coastal holiday or adventurous getaway. 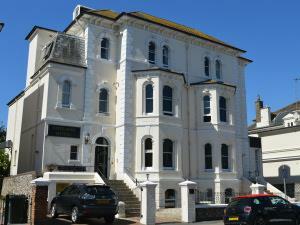 A unique and elegant Victorian property situated in a prime position on the promenade in Eastbourne. All of our bedrooms are en-suite, many with seaviews and balconies. 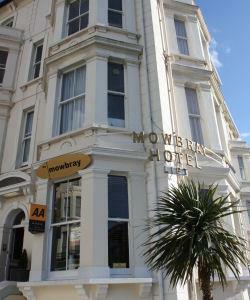 Lift and ground floor rooms available. 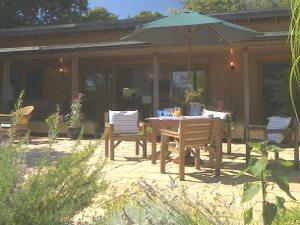 Tucked away in the grounds of a former farmhouse overlooking the Pevensey Levels. 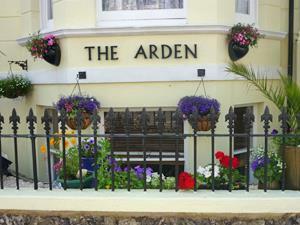 A friendly, non-smoking, Victorian-style guesthouse which is family-run, one minute from the promenade, easy walking distance to all attractions, theatres, conference centres, restaurants, etc. 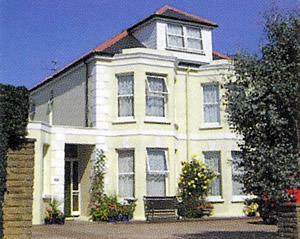 Penhale Holiday Flats are located in a quiet residential road just off the sea front, close to Princes Park. 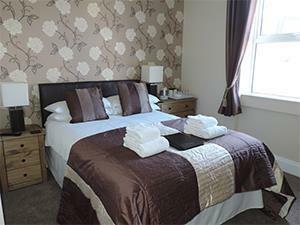 All flats are maintained to a high standard to provide clean and comfortable accommodation for 1-3 people. FREE PRIVATE CAR PARK. 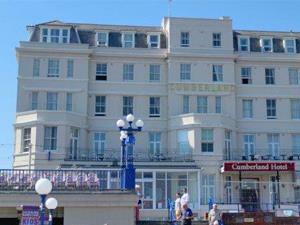 "England's finest resort hotel"- as described by the RAC. 152 bedrooms and suites, dramatic public areas including two restaurants and luxurious lounges. 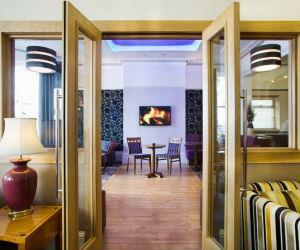 Facilities include a comprehensive health club with hair and beauty salon. 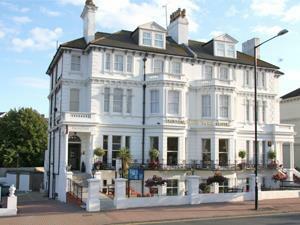 Six bedroom Victorian seafront guest house catering for adults only. Ensuite rooms. Full English breakfast with free range eggs and local butcher's sausages, cold buffet with plenty of cereals and fruit. Free parking. Non smoking.